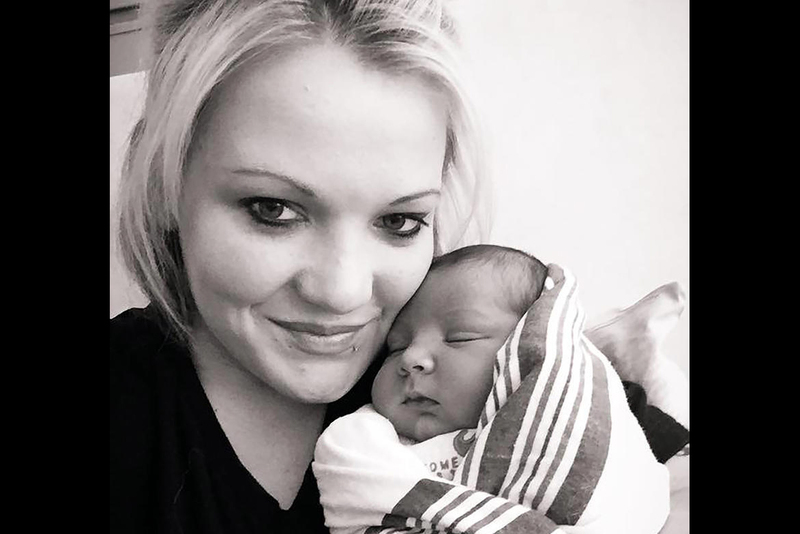 Tia Bonta’s family clung to the hope she would show up at her son Kingston’s first birthday party — even though they hadn’t seen or heard from the 24-year-old in three weeks. So on Tuesday, a small group of somber relatives gathered to have ice cream cake. The event came and passed, though, with no sign of Bonta. Since Bonta vanished July 31, the Orange County Sheriff’s Office has scoured two wooded areas looking for clues of her whereabouts. A person of interest, who initially talked to police and was the last person to report seeing Bonta, is also nowhere to be found. As the days of uncertainty turned into weeks, the family retained a private investigation firm to follow new leads. At the time of her disappearance, Bonta was working toward a degree at Keiser University in Orlando, according to family and her Facebook page. She finally felt as if she had direction, her father said. While she hadn’t settled on a career, she had been interested in criminal justice since high school, when she went on a ride-along with an officer, Kevin Bonta said. James Copenhaver, a former sheriff’s deputy whose PI firm was hired by the Bontas, said the skipped birthday party concerned him too. Several arrests starting in 2014 describe Bonta’s history of drug use, according to Orange County court records. As a result, Copenhaver said he can’t rule out whether Bonta’s struggles may have played a role in her disappearance. In December 2014, Bonta was arrested with her brother in connection with an attempted burglary. She told deputies a man paid her $20 for a ride, and she didn’t know the same man was trying to break into cars since “she began to tie her arm” and “shoot up cocaine,” an arrest report states. In Bonta’s most recent arrest — June 3 on charges of heroin and cocaine possession in east Orange County — deputies found a bag of heroin in a car she was driving, according to an arrest affidavit. She also pulled a small bag of cocaine out of her bra and handed it to the deputy after the traffic stop, the report said. Bonta pleaded no contest to the charges but violated conditions of her release after rear ending another car and leaving the scene, according to a charging affidavit. As a result, Bonta returned to jail June 30 until her release on July 25. Copenhaver said he is trying to construct a time line for the six days following her release, the final days before she went missing. Much of it remains unclear, and he said he is looking into whether she started using drugs again. “She had three weeks to clean up in jail, and she was looking very clean, very healthy, but did she fall back into that trap? That’s unknown,” he said. More answers could depend on finding the person of interest, identified by investigators as convicted felon James Dellafield. Dellafield, 44, talked to investigators Aug. 5 after Kevin Bonta gave them his number, according to a missing person report. Kevin Bonta said he saw Tia getting into a car with the man, who goes by “JD,” at a Days Inn on East Colonial Drive in the Alafaya area, the report said. A deputy called Dellafield on the phone, and he confirmed that he picked up Bonta and then dropped her off at a house near Buck Road and Cleburne Road. Dellafield said he didn’t know the address but Kevin Bonta did, as he had picked his daughter up there a couple of times. Copenhaver said he believes Tia was staying at the Days Inn, and he is working to acquire surveillance footage from the hotel chain. Copenhaver also said another investigation led him to the same house on Cleburne Road, where he saw a lot of foot traffic. Dellafield, of Sanford, served two prison stints since 2002. He was released in 2006 after a six-year sentence for aggravated assault of a law enforcement officer and aggravated fleeing and alluding. He served another two-year term from 2011 to 2013 for a slew of convictions, including cocaine possession and distribution and grand theft of a motor vehicle. Sgt. Steven Strickland, a lead detective on the case, declined an interview Friday, citing the open investigation. A spokeswoman wouldn’t elaborate about why investigators searched the woods — one in the Alafaya area and the other just north of Union Park. In the meantime, Kevin Bonta is caring for 1-year-old Kingston. Tia also lived with him before she went missing. Anyone with information about the case can anonymously call Crimeline at 1-800-423-8477.